Beautiful for residential use, and perfect for commercial customers as well. 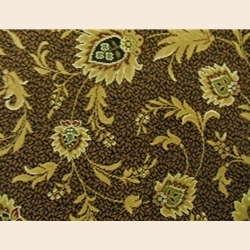 This patterned carpet looks striking and retains its new look longer because the pattern conceals dirt and stains. 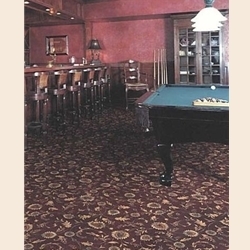 Ideal for restaurants, hotels, lobbies and theaters. 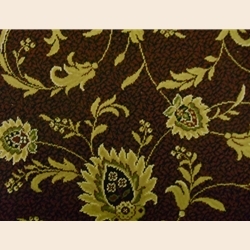 BCF Olefin is a chemically modified fiber with built in stain, soil, static and anti-microbial protection. 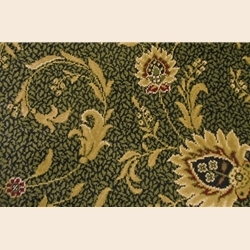 CUSTOM RUGS AND RUNNERS BOUND WITH FABRIC EDGING AVAILABLE - CALL FOR DETAILS! We offer swatch samples on our Woven Wiltons, please ask for the specific colors you prefer. $35 Cutting Charge will be applied to all cuts under 9'.